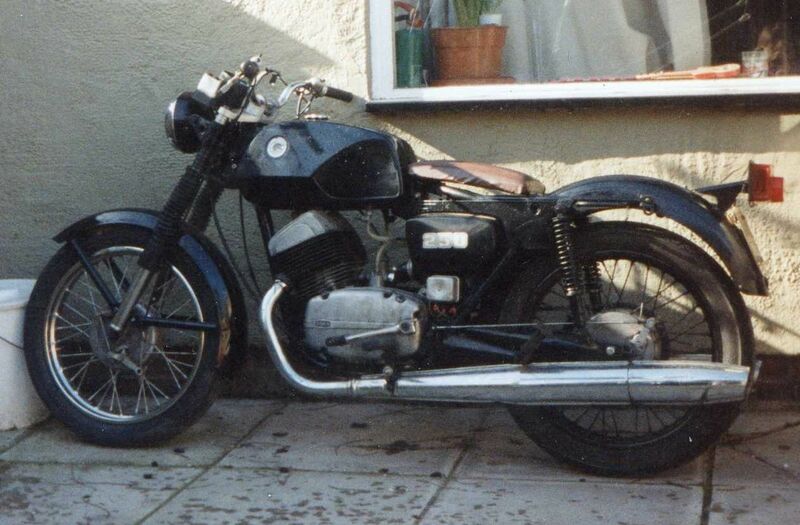 I had a CZ 250 mate, now that is a smell !! Good grief, I thought I was the only person who ever had one... Had a CZ175 at one time too. Ps can't believe it is 8 years since I posted that! June 2011 is an excellent thread recovery! I hope Mrs @Albert Smith recovered for her surgery at the time, but I can't help thinking that 2-stoke generators are the work of the Devil. Have you considered a Lithium-Ion Generator? I think they use di-lithium crystals Jim! We have got one bought new and operated intermittantly about 15 years ago and then left unused for about 6 years. I needed a temporary remote power source for a electric drill so refuelled " Wee Goh" (His 4stroke larger counterpart is "Willy Goh"). Pulled and pulled, nothing. Disasembled the carburetor and checked jets, all clear. Checked and cleaned the spark plug, nothing. Hung onto the spark plug lead and pulled the cord, thwack, but still Noh Goh. Defeated I switched it to off and pulled the cord to flush any fuel through, S econd pull, brrrrŕrrrrrrrrrrrrrrpopbrrrrrrrrrrrrr .Then I remembered that I had sussed this six years earlier that the switch was installed upside down. Old rattler. Used to get me about when times were hard. Mice ate the seat so I had to cobble one up. Sprayed it with aerosols from poundland in true Rat tradition.